Our good friend Merrilee Liddiard of Mer Mag recently updated the bedroom shared by her three children using Handmade Charlotte stencils. 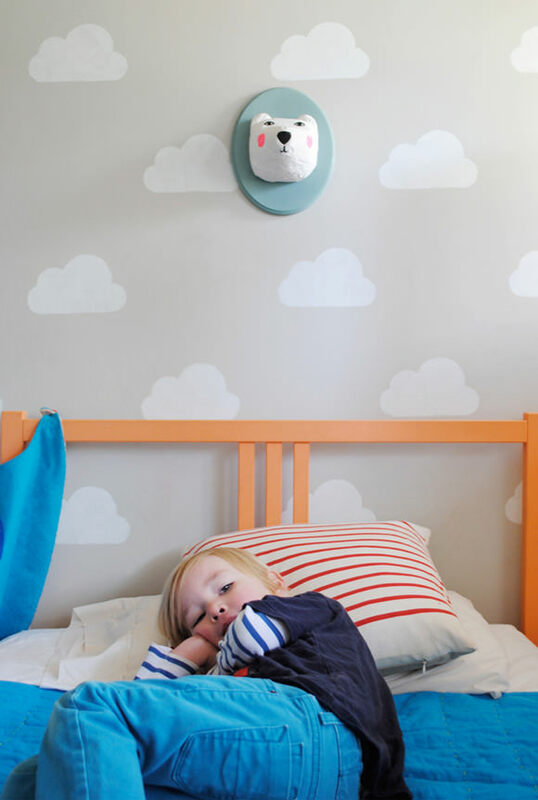 We can’t imagine a cooler way to use the cloud stencil! 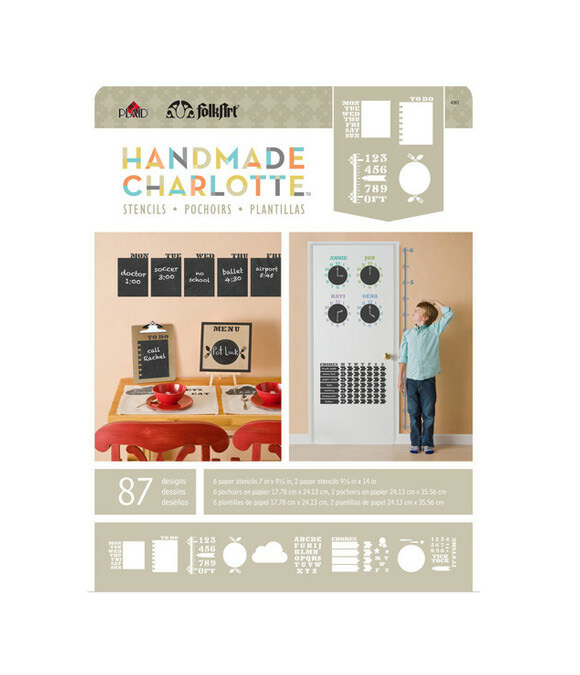 You can pick up the stencils at Joann.com. Thanks for the inspiration, Merrilee! Yes, your stencils are making the rounds! Hehehee! I love seeing how they’re being used. 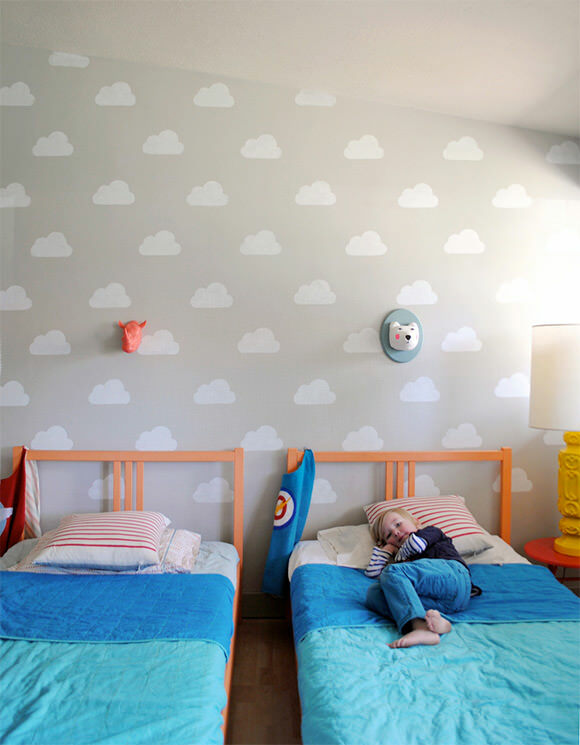 Cloudy, dreamy kids room=PERFECT! I can’t find the cloud stencil available to purchase anywhere. Has it been discontinued? Oh yay! Thank you so much. What about those quilts? Any idea where to find one?